J. Johnsons makes festive debut in Hull’s Fruit Market. The stylish ground-floor wine bar at J. Johnsons, the latest must-visit venue in Hull’s regenerated Fruit Market. J. Johnsons wine bar, bistro and deli is introducing itself to customers with a pre-Christmas opening ahead of a full launch in the New Year. The venue opened on Saturday (November 24) to add to the growing reputation of Hull’s waterfront district as a culinary hotspot. 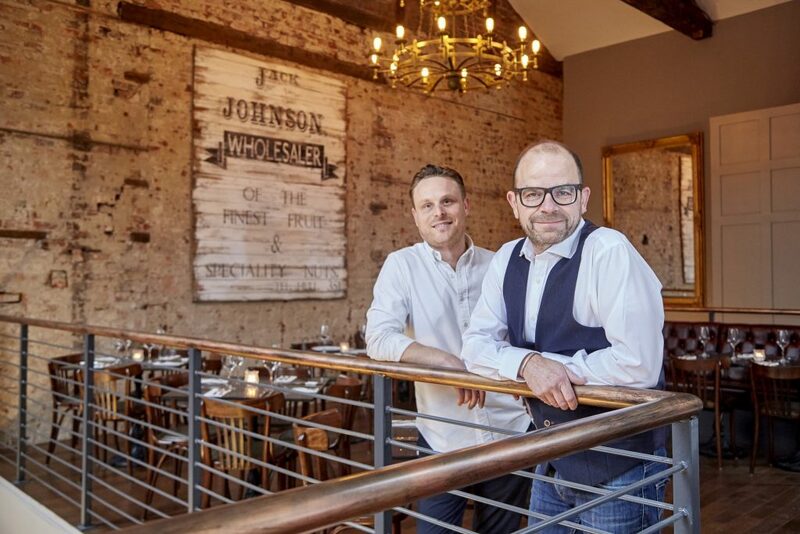 J. Johnsons is the latest venture from business partners Chris Eastaugh, Jason Gittens and Dan Robinson, owners of the successful Butler Whites restaurant in Humber Street and popular Larkin’s gastro pub in Newland Avenue, Hull. With seating for 76 diners in total, the opening of the 1,800 sq ft venue has created 25 jobs. The downstairs wine bar is table service only with staff offering a mouth-watering selection of “deli plates”, featuring the likes of cured venison carpaccio, with carrot and clementine marmalade and glazed walnuts; and baked Christmas camembert, dressed with dried sweet cranberries, pistachios and pumpkin seeds. Diners in the first-floor restaurant will be served from the Butler Whites menu until the venue’s official launch in January when a distinctive new menu will be revealed. A range of high-quality wines, champagnes and spirits complement the menu alongside a good selection of draught and bottled beers including Poretti 3; Jever; Brugse Zot; Hiver; San Miguel; and Wold Gold. Jason said: “We’ve decided to have an extended soft launch for J. Johnsons, so people can pay us a visit and enjoy the food, drinks, service and ambience before we launch in earnest. Chris added: “We love the area and we felt this was the perfect place to create a venue that complements Butler Whites and others in the area. J. Johnsons is named after the late Jack Johnson, a legendary figure from when the Fruit Market was the centre of Hull’s wholesale fruit and veg trade. It features exposed brickwork, vaulted ceilings, aged chandeliers and framed prints of historic Humber Street. 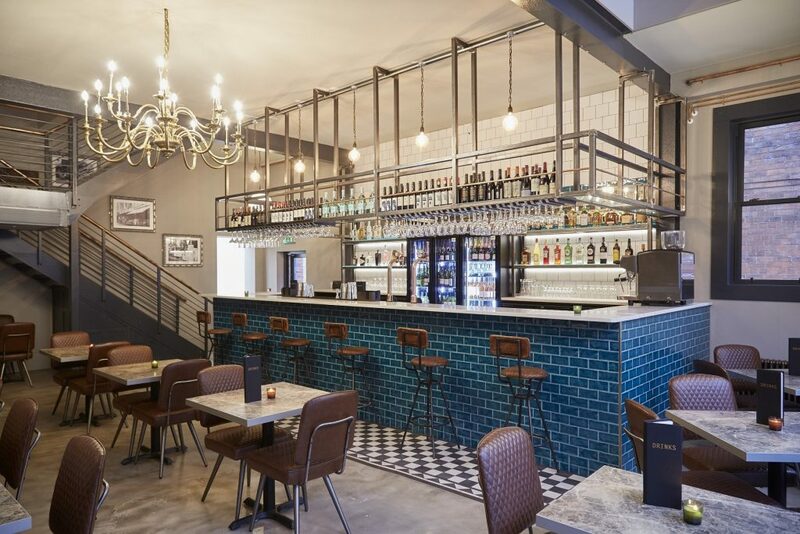 Chequered tiles line the floor in front of the bar, which features jade green metro-style tiles, while the décor also includes copper radiators, ornate mirrors and industrial railings. Owners Jason Gittens, left, and Chris Eastaugh in the first-floor bistro at J. Johnsons, named after a legendary Fruit Market trader. Be the first to comment on "J. Johnsons makes festive debut in Hull’s Fruit Market."